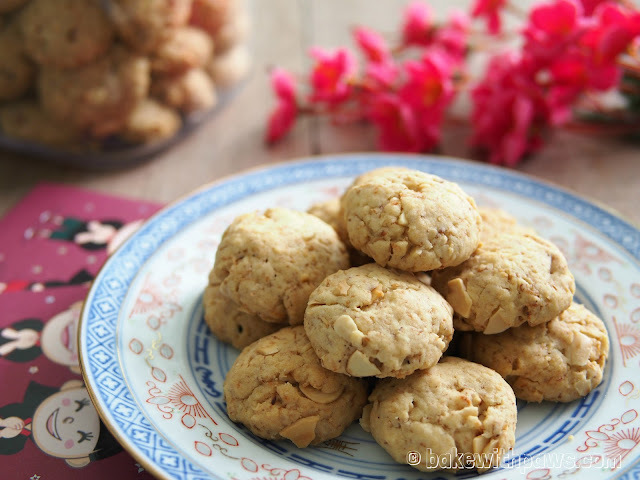 I didn’t specially make any Chinese New Year Cookies this year but I prepared these for my hubby to snack on. They should serve as Chinese New Year Cookies too. You may notice that I use very little sugar in my baking. Please increase the sugar amount if you like it a little sweeter. 1. Move the oven rack to the middle position and preheat the oven to 180 C. Line 2 baking trays with baking papers and set aside. 2. 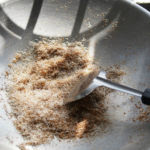 In a bowl of a stand mixer beat the butter and brown sugar together until light and fluffy. Scrape down the sides of the bowl with a rubber spatula. 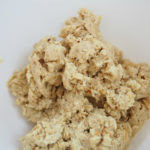 Add the eggs and vanilla extract, beat on medium-low until well mixed. 3. In another bowl, shift in the flour, baking powder, baking soda, and salt. 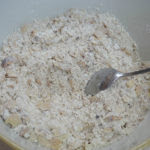 Then whisk together the flour mixer with toasted coconut and almond flakes. 4. 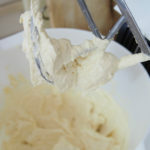 Gradually stir in the flour mixer to butter mixer until well-combined. 5. Roll the dough into small balls (12g each). Place the cookies about 2 1/2-inches apart on the lined baking tray. 6. Using 2 fingers, lightly press down on each cookie dough ball to flatten it. 7. Bake 20 to 25 minutes or until the cookies just start turning golden brown. 8. 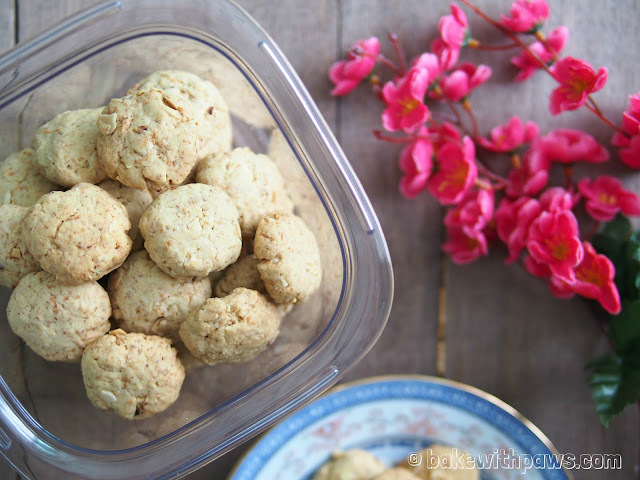 Let cookies cool on a wire rack completely before storing in the air tight container.